Dr. Egidius Stockenstrom, MD, discusses earache symptoms and treatments. Earaches and What To Do About Them Dr. Egidius Stockenstrom, MD, discusses earache symptoms and treatments. 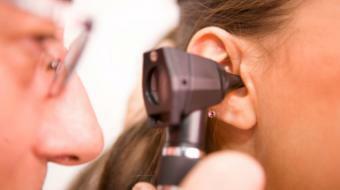 Earache can be caused in the ear itself, or it could be referred pain from structures in the region of the ear. The most common causes for earache are infection in the outer canal, or otitis externa, or infections in the middle ear, or otitis media. Referred pain to the ear can be caused by tumors or conditions in the throat; dental conditions, like dental abscess; as well as Eustachian throat dysfunction, or blockage of the passage way between the back of the throat and the middle ear. The immediate earache treatment is pain relief. This will consist of the administration of either acetaminophen or ibuprofen, for pain relief. Since there are so many different causes for earache, it is advised that you see your health care provider to determine the exact cause and the appropriate treatment for your earache. If you have questions about earaches, contact your local family physician.